As one of the great cities of the South, Jackson is the perfect destination for those seeking history, great food and a dose of pop culture. A place where the Native Americans flourished and the Civil War raged, every member of your group will find something in Jackson that intrigues them. For those who are experiencing Jackson on a budget, here is a list of activities that will allow your group to see much of what this city has to offer. 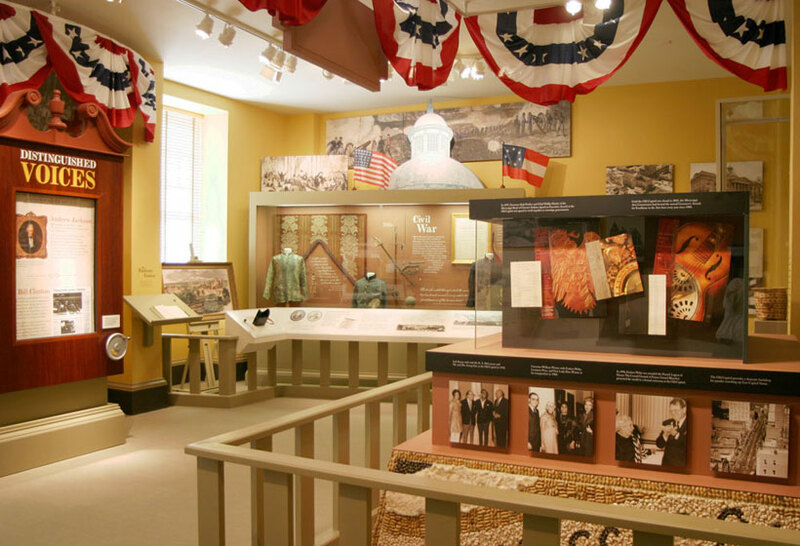 This free-admission museum – which has exhibited works such as Civil War drawings and spotlights artists like George Wardlaw – grants access to The Art Garden, where groups are encouraged to eat a picnic lunch while enjoying the scenery and sculptures. The museum also puts on a special event known as Museum After Hours; starting at 5:30 p.m. every third Thursday, guests can experience special exhibits, live performances, art vendors and even food trucks, making it fun for people of all ages. For school groups, the Museum of Art offers specialized tours that can be customized to your current lesson plans. Location: 380 South Lamar St. This house, constructed around the same time as Jackson’s old capitol building, is one of the first residences for governors in the country. Like other prominent buildings in the city, it was built in the Greek Revival style for only $50,000. It was first occupied by Governor Tilghman Tucker, and to this day continues to house the governors of Mississippi. For groups, tours are conducted on Tuesday-Friday from 9:30-11 am. For more information about the mansion and the tour, go to mdah.state.ms.us. Location: 300 East Capitol St. This restaurant may look like you average diner, with art splattered across the walls and the quintessential Heinz ketchup bottle on every table, but there’s more to it than meets the eye – it’s also one of the best places to experience live music in the city. The restaurant is primarily known for its famous Blue Mondays, when it hosts jazz music for its patrons for a small fee, but you also have the opportunity to listen to music free of charge with bands such as Sound Barn, who are known for their “old time barn dance” music as well as bands that play Americana and Bluegrass music regularly at Hal and Mal’s. While tuning in, be sure to check out the menu, which includes classic diner food as well as Southern favorites like gumbo and muffalettas. To learn about state government, check out the Old Capitol Museum, which was built in 1839 and served as the Capitol building until a new one was constructed in 1903. Today, it’s a museum that educates visitors on Jackson, government and the roles both have played in the country’s history. Guided tours cover the old capitol’s role in Mississippi’s government, the architecture of the building and the state’s role in the Civil War. Additionally, special events are offered throughout the year to further enlighten visitors, such as Present Meets Past, where re-enactors dress as key historic figures to help history come alive. For those who are interested in today’s legislature, the current state capitol offers free guided tours. To learn more about the resources that the museum offers to teachers, visit mdah.state.ms.us. Location: 100 South State St. 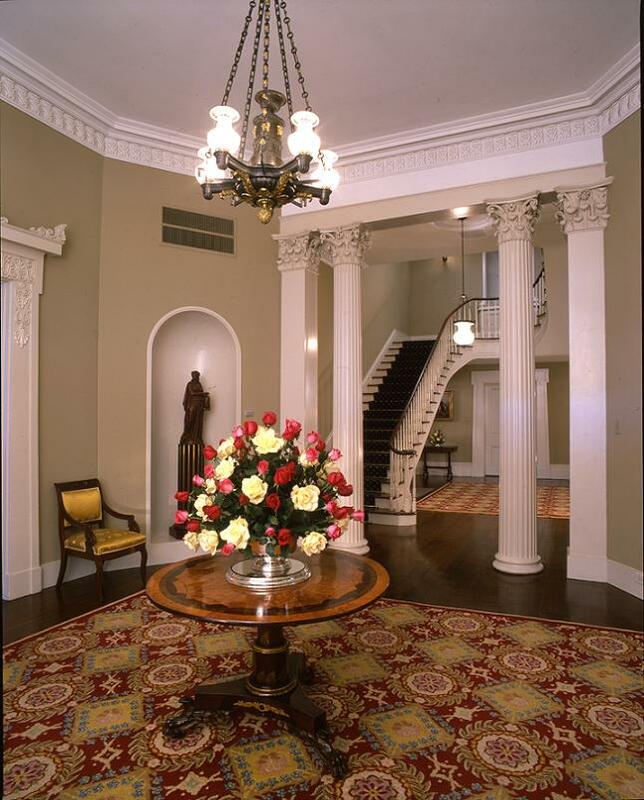 This mansion was once the home of Charles Henry Manship, the man who served as the mayor of Jackson during the Civil War. Built in 1857, the home was created in the Gothic Revival style of architecture, and was made to house Mayor Manship, his wife and their 15 children. The house stayed in the ownership of the Manship family until 1957, when it was bought by the state and turned into a museum. Now, visitors can stop by the house and learn of the Manship family and the history of the house itself – such as its tenure as the headquarters of Confederate General John S. Adams. Group tours are available by appointment. To learn more about the house, visit mdah.state.ms.us. Location: 420 East Fortification St. Looking for a way to enjoy nature in Jackson? Head to the Natchez Trace Parkway to discover the 444-mile trail that passes through Mississippi, Alabama and Tennessee. Originally used by Native Americans to hunt and later by settlers as a trading route, it offers many activities for your group to take part in. Fishing, biking and horseback riding are all available, and of course your group can also hike along the trail – though you may wish to leave the daring feat of walking the entire trail to more experienced hikers. If you’re heading towards Natchez, your group can even see prehistoric ceremonial mounds and an abandoned town. The trail does occasionally experience closures, so be sure to visit its page on www.nps.gov for up-to-date information on closures and detours before planning your trip. Unless you lived under a rock in 2011, you are familiar with the smash-hit The Help, a film based on the novel of the same name by Kathryn Stockett. Set during the civil rights movement, the novel tells the story of a young woman who, in her attempts to become a writer, decides to record the stories of African-American maids in her hometown of Jackson, unaware of the storm their tales will unleash. The self-guided tour covers many of the locations described in the book, such as the Jatran Bus Stop, McDade’s Supermarket and the headquarters for the Junior League of Jackson. A treat for fans of either medium, the tour allows you to relive your favorite parts of the book and movie. To see a full list of locations and download the map, go to visitjackson.com. Do you know of any other great things to see in Jackson for free? If so, share with us in the comment section.